Welcome to "Survivor" Series, our weekly column focusing on the adventures of one John Hennigan, a.k.a. Johnny Mundo, Johnny Impact, John Morrison, Johnny Nitro, on the islands of Fiji as a castaway on Survivor: David vs. Goliath. As promised, this column will zero in on how The Mayor of Slamtown maneuvered his way through the game, for better or worse. 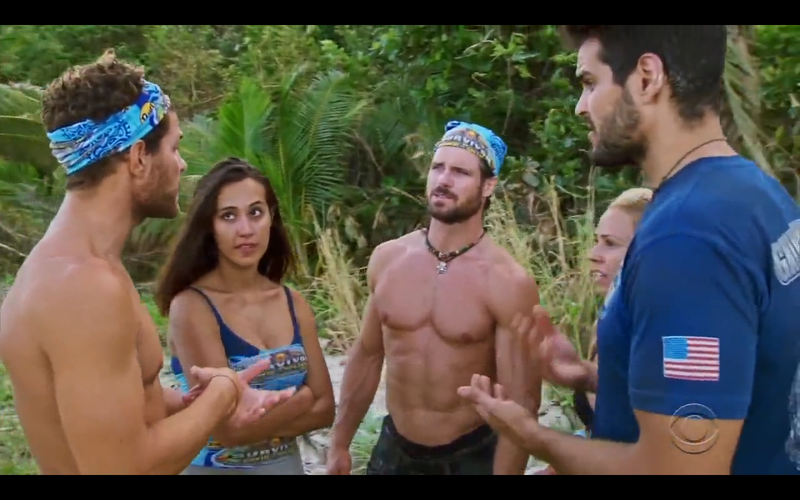 I've been a bit behind on this little column on how John Hennigan's Survivor experience is going, which I'm not entirely proud of considering JoMo's blown every expectation I had of him heading into this David vs. Goliath. Now that he's reached the Merge and survived the first vote, he'll have to navigate a tricky path if he wants to have a shot at making it to Final Tribal Council as a finalist. That said, here's a quick list of what The Mayor of Slamtown has to watch out for as we head towards Episode 8 this Thursday (Manila time). Wait, wrong show that airs on Wednesday nights in the U.S. 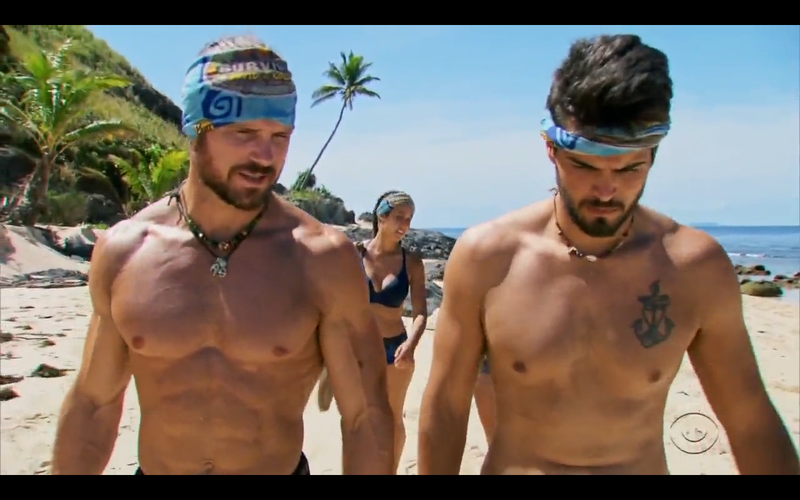 In last week's merge episode, Johnny Mundo was seen as part of the Goliath alliance, which held a 7-6 advantage in the newly-merged Kalokalo Tribe. What Mundo didn't see—at least according to what the edit gave us—was the formation of a counter-alliance called The Strikeforce. This coalition is made of three original Davids (Nick, Gabby, and Mundo's Brochacho Christian) and three original Goliaths (Alec, Alison, and Mike White). If the original Goliaths decide to flip to The Strikeforce permanently, that leaves our boy, The Wednesday Night Delight, on the outs. Unless he wins Individual Immunity or finds the Hidden Immunity Idol—more on this later—he'll get taken to Slamtown by The Strikeforce. Oof. 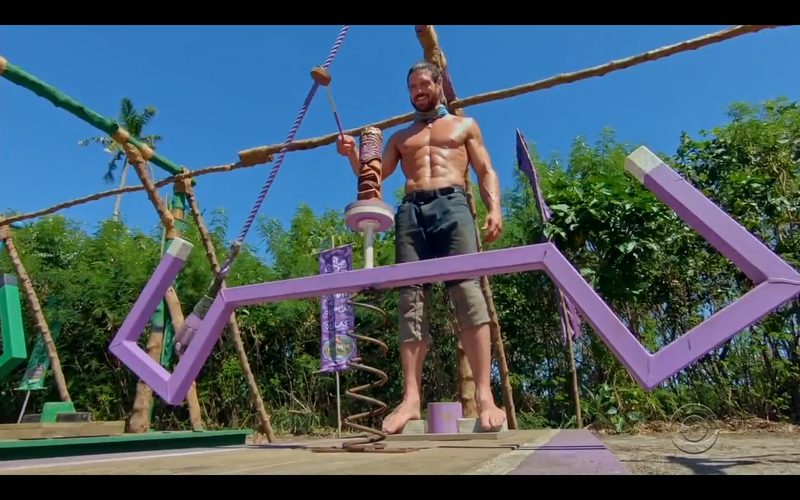 Where this gets interesting is the fact that he looked visibly uncomfortable when his Goliath majority was discussing his Brochacho, Christian, as the initial target at the first Tribal Council of the Merged Tribe. He and fellow Goliath Dan weren't too keen on getting rid of their Brochacho so early into the post-merge game. That was actually a mistake on his end because from our perspective as viewers, the intelligent robotics scientist, who writes algorithms for fun, is an absolute threat to win the game! Fortunately for John, he sort of made up for it by playing peacekeeper within his Goliath alliance when one of his allies, Angelina, got upset over the target being switched from Christian to Elizabeth, who ultimately went home. This brings us to this next point. One of John Morrison's biggest strengths in the game up to this point is his ability to bring people together, rather than sow discord. Last week, he was shown calming his ally Angelina down when she got upset that she was no longer calling the shots in the Goliath majority alliance. He volunteered to take a walk with her and to talk her through the situation so that she wouldn't feel ostracized by her own alliance and eventually turn on them. By playing nice—at least, based on his edit, which hasn't portrayed JoMo negatively at all—John has set himself up in a comfortable position, where he isn't being targeted by anyone. Other players have also taken a general liking to him, which is one less reason to want to vote him out. Despite being a relative newcomer to the game, John seems to have understood the social aspect of it pretty well and has applied it to the point that he wasn't targeted at all at the first Tribal Council post-merge. The obvious takeaway here is that playing nice should ultimately take a player closer to the goal of being the Sole Survivor because if they make it to Final Tribal Council with people having bitter feelings towards them, then their chances of winning the game significantly decrease. Just ask Survivor "legend" Russell Hantz. Someone like Johnny Nitro is an immediate target after the Merge because of his physical strength. I discussed last week that the strong, athletic types tend to be targeted at this point of the game because other players are afraid that they'll run the table during Immunity Challenges. There's nothing JoMo can do about his appearance, but he can try to downplay his strength by not going full tilt every single time. The best example is how—whether he was conscious of it or not—he didn't last until the end of the first individual Immunity Challenge. By not making it into the final two of the challenge, he wasn't in a position where all the other eliminated players were watching him, identifying as a threat, and potentially conspiring to blindside him at the soonest possible opportunity. Instead, that happened to Elizabeth in last week's episode, and similarly, to Olympic gold medalist Lydia Lassila, the merge boot in this year's Australian Survivor: Champions vs. Contenders. 5. Look out for an Idol or advantage! One of the most interesting parts of last week's Merge episode came during the Merge feast—which was held to celebrate the achievement of the remaining players who have survived up to that point. There are usually clues to idols or advantages that are hidden in the feast, whether in rolled-up table napkins, jars, or other items that most people would gloss over or take for granted. The first picture was the sign that the producers left for the players when they found the Merge Feast. In the episode, one of the players (Gabby) described how the sign could very well have been a clue talking about how an idol/advantage could be hidden in plain sight. But more eagle-eyed observers like Survivor fan and song parody writer DJ Labelle-Klein theorized that the sign itself could be pointing to an actual tree, which he identified in the second screencap in his tweet above. Since Johnny Mundo himself had no confessionals talking about this idol/advantage, it's highly unlikely that he'll get to find this latest one. Given that his Brochacho Dan already has two idols and that the other remaining active idol has been found by original David Davie (yes, his name is Davie and he was originally a David), it's unlikely that JoMo will find an idol unless one gets flushed at a Tribal Council along with an eliminated player. That being said, that doesn't mean that there are no more advantages lying around. Johnny Mundo's best bet is to keep an eye out for these things because any advantage can change the game—and when played properly, can even swing it in one's favor. These are just a few of the key things that John Hennigan has to take note of if he wants to make it to Final Tribal Council without getting his torch snuffed. Obviously, there's way more that he should do, let alone take note of. And just because we didn't see him do something on the show—like actively look for a Hidden Immunity Idol—it doesn't mean he didn't do it altogether. After all, what we see in one hour of television is less than one percent of the total time that elapsed during the filming of that episode. But how are you liking Johnny Mundo so far in the post-merge game? Drop us a confessional down in the comments section! Survivors ready... Go!